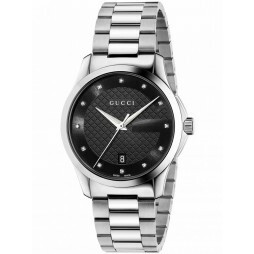 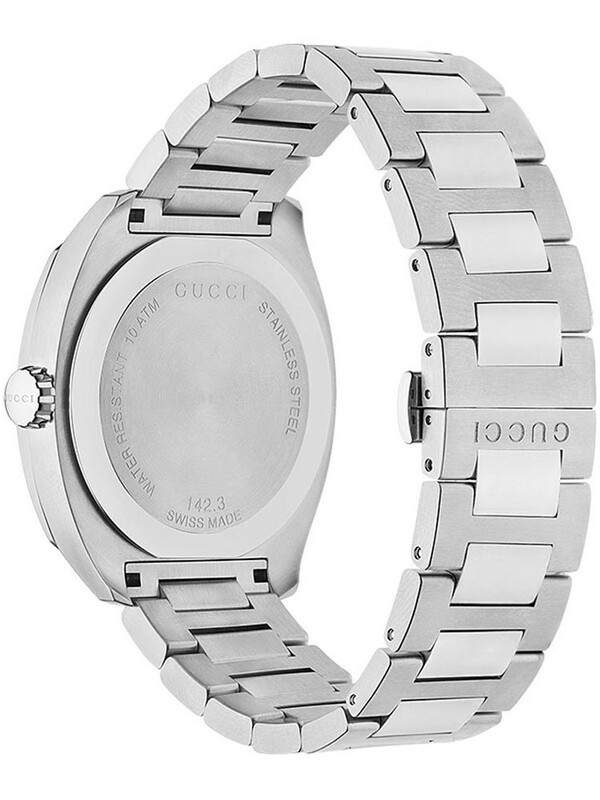 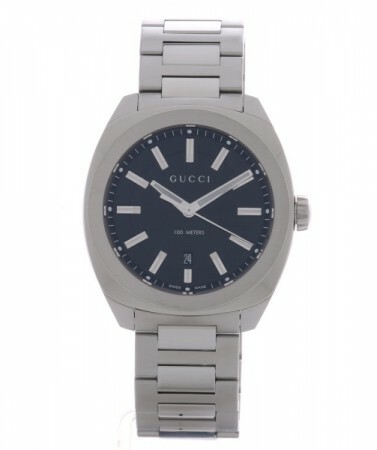 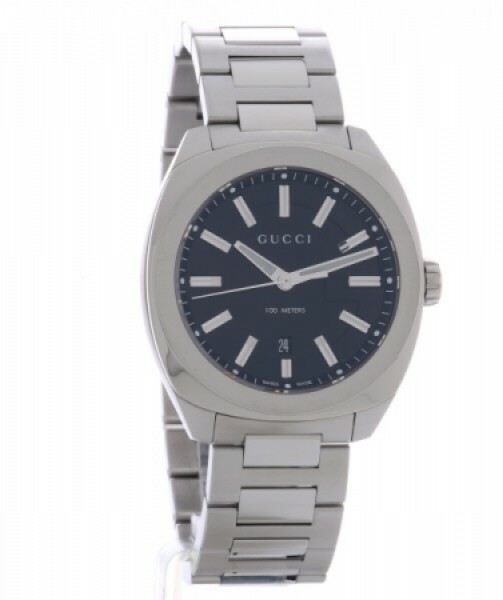 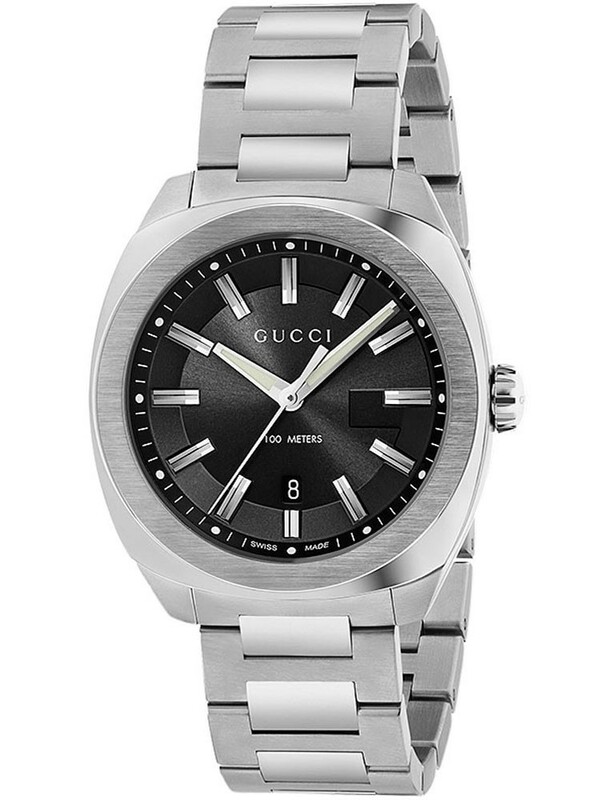 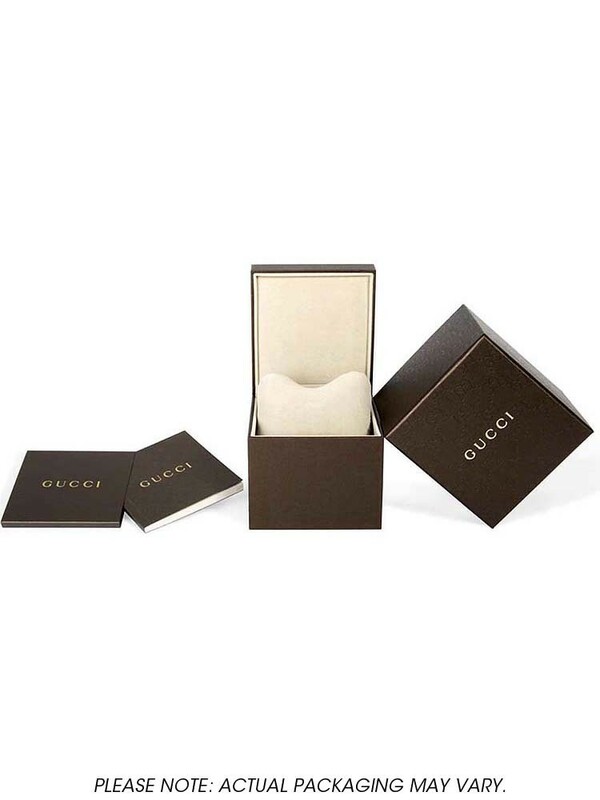 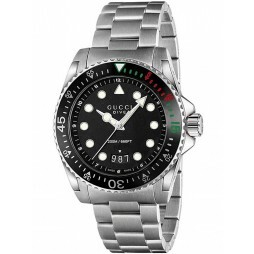 Presenting this sleek and styish men's timepiece from Gucci. 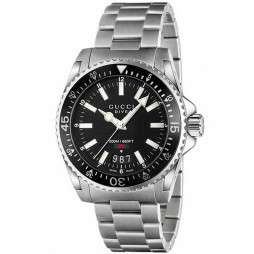 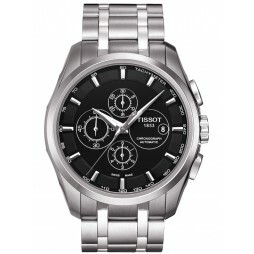 Featuring a stainless steel bracelet and case, housing an attractive black dial complete with silver tone hands and hour markers. 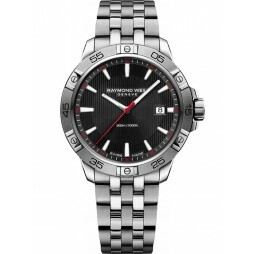 The handy date window positioned above 6 o'clock and a water resistance of up to 100 metres increases the functionality of this handsome watch.